Bali is a very large island with limited public transportation. Renting a private car is the best way to see all corners of the island and all that it offers. Various sizes of cars are available: 7 seats, 12 seats, 18 seats, suitable for couples, groups of friends, or even extended families. Your driver will pick you up at your accommodation and take you anywhere on the island in one-day tour. Enjoy full-day car rental (maximum 10 hours) with an English-speaking driver and explore the island of Bali in any way you like. Type of car which great for couple/family with 14 passenger. 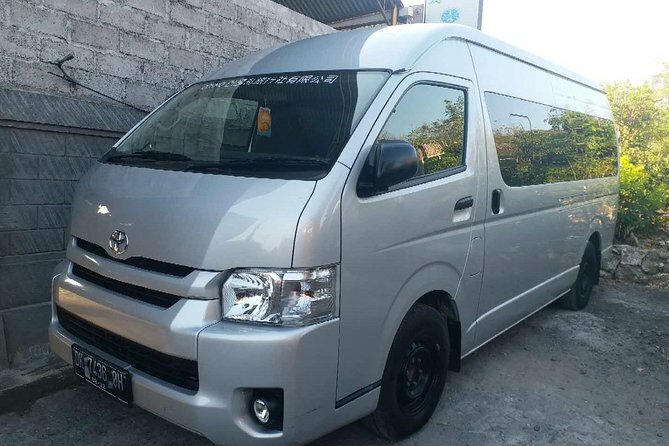 All vehicles are modern and clean, fully inspected, air conditioned, central lock and comfortable for long trip. The driver will pick you up at your accommodation. If you have no idea, the driver will make suggestion on what to do or where to go depending on your interest and also make sure you have first hand option and satisfaction. On the way to scenic spots, you can ask the driver anytime if you see something interesting.